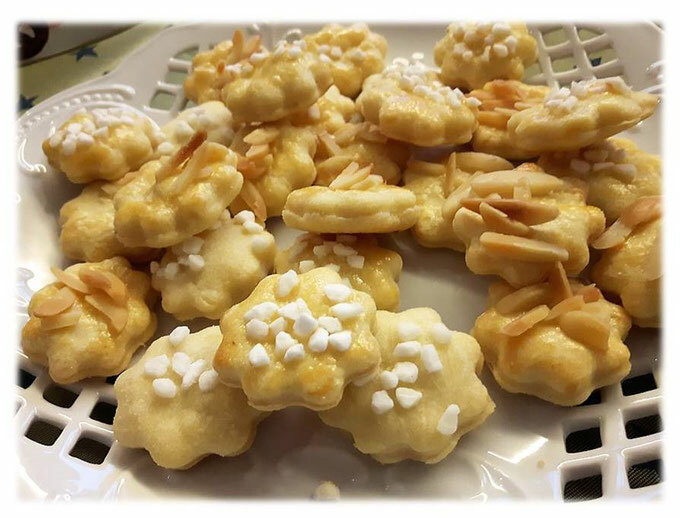 After last week's traditional German Xmas Stollen, I want to share with you, my favourite non-traditional Christmas recipe - Sour Cream Christmas Cookies. These babies are sugar-free yet still delicious. Meaning no bad conscience if you eat a few more and zero risks to fall into a sugar coma over the holidays. Oh, and they are done in no time. 1. Knead a dough of flour, butter, and sour cream. 2. Roll out the dough - not too thinly (ca. 0,5 cm) - and cut out the cookies using your desired cookie cutter. 3. Place the cookies on a baking tray with baking paper. 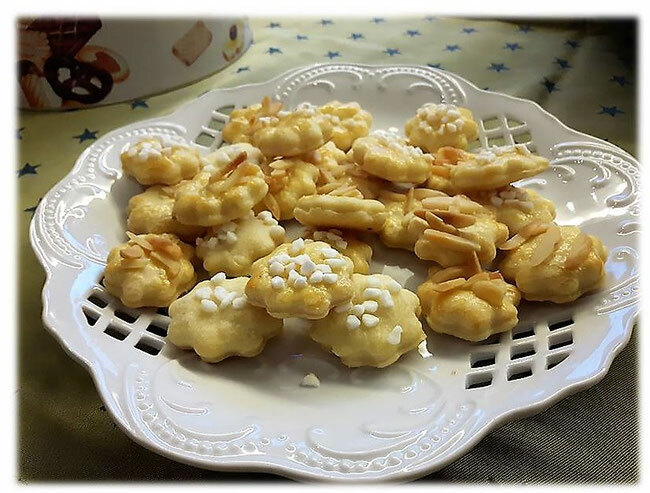 Now brush the cookies with egg yolk, overlay with almond slivers/coarse sugar and bake them in the oven for approximately 15-18 minutes. Tip: By replacing the coarse sugar/almond slivers with cheese, the cookies can be served as a hearty snack to enjoy with a glass of wine. Enjoy baking and bon appétit! Until then, have a good one. Dieses Gebäck ist ein Gedicht. Lecker! Extremely hard to reveal these helpful page or site. I have numerous gadgets and accomplishing legitimate article of these worked admirably and vitality keeps on being seeing about this web blog.